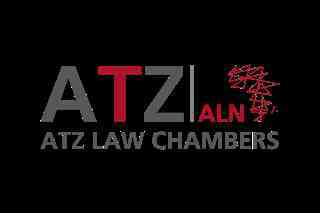 ATZ Law Chambers (ATZ) is a leading full-service corporate and commercial law firm with substantial experience and knowledge of the Tanzanian market. The firm operates in mainland Tanzania. ATZ strives to be the most successful corporate legal practice in Tanzania. The firm adopts a practical, commercially vigilant approach to problem solving and strives to develop long-term client relationships. ATZ is frequently praised for its approachable and attentive team of lawyers. It is consistently ranked as a leading legal practice in Tanzania by international directories, including Chambers Global, IFLR1000 and Legal 500. ATZ is an ALN firm. ALN is an alliance of leading corporate law firms currently in fifteen key African jurisdictions. ALN firms work together providing a one-stop-shop solution for clients doing business across Africa. Its reach at the local, regional and international levels, connectivity with key stakeholders, and deep knowledge of doing business locally and across borders allows it to provide seamless and effective legal, advisory and transactional services across the continent. ALN firms work closely with each other across the fifteen countries and with a network of Best Friends across Africa. ALN firms are on the ground in some of Africa’s fastest growing jurisdictions, including the continent’s gateway economies: Algeria, Ethiopia, Guinea, Kenya, Madagascar, Malawi, Mauritius, Morocco, Mozambique, Nigeria, Rwanda, Sudan, Tanzania, Uganda and Zambia. ALN also works closely with its regional office in Dubai. ATZ has a track record of advising leading companies on their most intricate and high value corporate and commercial transactions. The firm handles sophisticated local as well as cross-border and multi-jurisdictional commercial transactions. The role will be based in Dar es Salaam, Tanzania, with potential travel within East Africa. Law Degree and an advocate of the High Court of Tanzania or equivalent qualifications. At least six years’ experience in a fast paced corporate commercial legal environment. Demonstrated experience in working on large scale transactions with multiple stakeholders and client handling skills. Demonstrated experience in drafting share purchase, share subscription and shareholders agreements, associated documents and the negotiation of the same. Experience in Mergers and Acquisitions. Experience managing a team or teams. Excellent verbal and written communication skills and an ability to communicate clearly with a range of people from diverse backgrounds. Ability to multitask and handle varied moving parts in a complex and demanding environment. Ability to communicate and present effectively and persuasively, in person and in writing. The ability to build and maintain highly effective working relationships with a range of people (both internally and externally). A commitment to teamwork and working in a professional manner. A commitment to ALN’s mission and extremely strong ethical integrity. If your career aspirations match this opportunity, please send your cover letter and CV to careers@africalegalnetwork.com referencing this position SA/ATZ/19 by 12:00pm (GMT) on Friday, 22nd February 2019. We are seeking a high calibre Senior Associate. The role will report to a Partner. Interacting regularly with current and prospective clients in order to build a good network and relationships.